* Fast and flexible solutions. *All-inclusive Fee (NO hidden charges). *We are the funding source. Is Paperwork Not Your ‘Cup of Tea’? *We specialize in providing you the security you need to get paid. *We have extensive construction and factoring experience. *Your phone call, email, inquiries and contact with us will never ever be ignored. 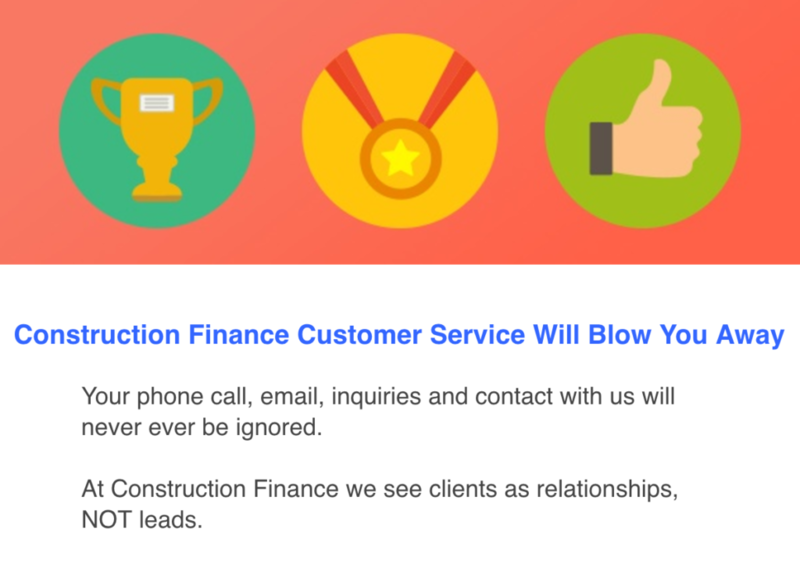 *At Construction Finance we see clients as relationships, NOT leads. We allow Contractors and Subcontractors, “YES” to new project opportunities! We pride ourselves in being transparent in all our dealings. Should Your Construction Company Factor Invoices? There are many scenarios where accounts receivable factoring is the right choice for your company. The infographic below explains a few of these situations. Company hyper growth, construction industry boom, invoice payment delays are among many of the top reasons that our clients find themselves needing a construction factor. Construction Finance prides itself in being the best construction invoice factor in the business. If you have questions about how invoice factoring works, please give us a call or watch our quick video in the link above “How it Works”. The future is looking bright for the Construction Industry. We at Construction Finance are ready to support and sustain this sudden growth!! With sudden growth comes sudden financial growing pains. We are a construction factoring company that can help sustain you in hyper growth. We can buy your commercial project invoices as soon as today! The construction industry boasted a successful start to 2017 with 36,000 net new jobs in January, the Bureau of Labor Statistics reported Friday. Industry employment crept to the highest recorded level since November 2008, according to the Associated General Contractors of America. The month’s total construction employment of 6,809,000 showcased a 170,000-job — 2.6% — increase from January 2016. Within the industry, the residential sector added 20,300 positions last month, while the nonresidential sector (including the heavy civil and engineering sectors) added 14,900 jobs. Average hourly earnings in construction notched up 3.2% between January 2015 and January 2016 to $28.52 an hour. Wage growth for construction workers now hover around 10% higher than the overall private sector average. The positive report signals the best month for construction job growth since March 2016, according to the Associated Builders and Contractors. While the U.S. Commerce Department reported a dip in December construction spending earlier this week, the month showed a resurgence in housing starts, due largely to growth in the multifamily sector. 2016 overall saw an uptick in nonresidential construction, accounting for nearly a quarter of the industry’s total job creation, according to ABC Chief Economist Anirban Basu. In January alone, nonresidential projects accounted for more than 40% of net new jobs, signaling faster growth in the sector, the ABC reported. Despite marked employment growth, the industry’s unemployment rate shot up to 9.4% in January — a figure that Basu said points to increased interest in the construction industry. In a release, Basu said more people have started looking for work in the industry, a trend that he attributes, in part, to indications from the Trump administration and lawmakers that they will make infrastructure spending a priority. The increase in new construction activity dovetails with an ongoing labor shortage and a pinched regulatory climate that could dampen the effect of the projects. In its analysis, the AGC noted that the spike in employment came as employers increased pay to combat the ongoing labor shortage. A January survey released by the AGC noted that nearly three-quarters of the 1,281 participating contractors said they hoped to increase their employment in the coming year — but an equal number expressed trouble filling both hourly and salaried positions. And with end-of-month construction openings at a 17-year high, a dearth of workers continues to put a strain on the industry. “The employment gains would be even larger if there were enough workers with the right skills available to hire,” Ken Simonson, AGC’s chief economist, wrote in a release. In an effort to jumpstart the worker pipeline, industry groups have suggested marketing efforts, stronger focuses on technical training programs in school, immigration reform and a wide coalition effort. While the labor shortage will continue to squeeze the industry, Dodge Data & Analytics has predicted a 5% increase in starts for 2017, totaling $712.9 billion for the industry, and other industry observers remain cautiously optimistic about the year’s prospects for construction growth. Great Job Dennis and Regina of Jonesboro, Arkansas! From All of Us at Construction Finance! Have You Been Burned in the Past by Factoring Construction Invoices? Have you been burned in the past by factoring Construction Receivables? * Why not refer all your construction clients to Construction Finance? * We pay referral fees for the LIFETIME of the Construction Finance/ Client relationship. * Don’t Turn Down Construction Funding Opportunities Again! * Send Us Your Referrals Today. Wonderful article that is an absolute must share. Matt Viator over at ZLein has valuable advice for general contractors and subcontractors who will be rebuilding from hurricane Matthew. Make sure that you are up to date and aware of all issues that could keep you from getting paid! For those that are performing the much needed recovery work, protection is needed too. In order to secure payment, contractors, subs, and suppliers should be aware of the lien rights for their state. Some of the trickiest subjects when crossing state lines include licensing requirements, contract requirements, and what constitutes lienable work. To that end, here are some of the considerations in Florida, North Carolina, and South Carolina. For more information on the lien law of those states, or any other state, head over to our Mechanics Lien FAQs and select your state. When dealing with recovery work, contractors, subs, and suppliers will likely be receiving some, if not all, of their payment from insurance companies. Insurance check delays have caused problems in the past, so these parties should understand that it may still be necessary to preserve their rights to payment. We discussed this at length following Hurricane Sandy, so follow this link for more on the subject. For contractors who wish to avoid attaching a lien at all costs, here are some other creative options that may help secure payment. In the wake of massive storms and natural disasters, contractors, subs, and suppliers flock to affected areas in search of work. Normally, this is a mutually beneficial relationship: contractors find work and help those people who need it the most, while property owners quickly repair the damage on their homes and businesses. However, the construction industry, like all other industries, does have some bad actors. Just recently, contractors have abused homeowners in Florida and New Jersey. Because of this alarming trend, we discussed how to avoid these situations in recovering from the recent Louisiana flood. Perhaps more importantly, homeowners should couple payments with conditional lien waivers. By doing so, a property owner asks their prime contractor, subs, and suppliers to waive their right to file a mechanics lien. This may seem like a lot to give up, but the magic of using a conditional lien waiver is that the condition is typically that a party has received payment. So for parties worried about giving up their legal rights, these rights are only waived once they have been paid. Here’s what to keep in mind when requesting a lien waiver. At zlien, we have plenty of personal experience in dealing with hurricanes, so our hearts go out to those that will soon be recovering from Hurricane Matthew. While the rebuilding process can be an emotional, uphill battle, it is important to protect yourself during the return to normalcy. It is equally important that the interests of contractors, subs, and suppliers are protected during this time. Good work is imperative during a time of recovery, and contractors can only continue to provide their services when they are compensated for their work. Here are more considerations with Florida, North Carolina, and South Carolina lien law. For more on construction issues during storm anticipation and recovery, check out the articles under our new Storms tag. At Construction Finance we strive to keep you up to date on all construction issue that matter most! The Fair Pay and Safe Workplace Order issued by President Obama will go into effect later this month which will certainly have a widespread impact. The order certainly caught the attention of federal contractors. For more information, here’s the Fair Pay and Safe Workplaces Order in full, and here’s further guidance from the Federal Register. The goal of the order is simple: to promote safe and effective workplaces by rewarding contractors and subcontractors with an exemplary record. The order will do so by placing greater hiring restrictions on contractors bidding for federal projects. The underlying theory is that by excluding contractors with a checkered history regarding labor laws, the government will boost efficiency and quality on federal construction projects. The voluntary preassessment phase of the rollout began just over two weeks ago. At this point, up until October 25, a contractor or subcontractor can request an assessment from the Department of Labor. This assessment will determine if the contractor has any past violations and the degree of severity of such a violation. The advantage of taking part in preassessment is that by successfully clearing the assessment, a contractor will have a verified record of labor law compliance going into the next phase of the rollout. The first phase of the rollout is the contractor disclosure phase. 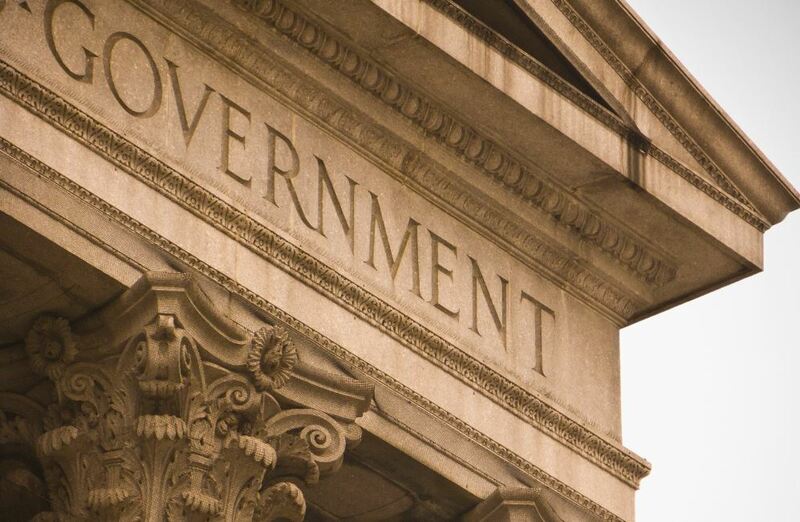 Beginning in late October, contractors bidding on federal projects will have to abide by the disclosure requirements of the order on projects of $50M or more. Following April 24, 2017, these requirements will apply to all federal contractors bidding for projects exceeding $500K. The Paycheck Transparency Provision takes effect on the first of the year. This provision calls for a detailed record of payment information for employees when a project exceeds $500K. The record should include hours worked, including overtime, rate of pay, gross pay, and any deductions made. Beginning in October of next year, subcontractors on federal contracts will also fall under the Fair Pay and Safe Workplaces Order. Until then, subcontractors should treat this time as an extended preassessment period. Subs are encouraged to voluntarily request an assessment from the Department of Labor before subcontractor disclosure becomes mandatory. The public disclosure period was harder to put a date on, but it goes into effect on October 15, 2016. But this creates more of a cut-off provision concerning violations prior to October 15, 2015. According to the order, contractors must publicly disclose labor law violations. However, in the interest of fairness, disclosures will only include labor law violations occurring after October 15, 2015. With this cut-off, contractors will not be penalized again for any violations occurring prior to the implementation of the Fair Pay and Safe Workplaces Order. The Fair Pay and Safe Workplaces Order has not been welcomed in the construction industry, at least not by the Associated General Contractors of America and the Associated Builders and Contractors. However, the goal of the act, which includes transparency in construction payment, is something that the industry desperately needs. No matter how a contractor or sub feels about the act, if they want to work on federal projects, these are important dates. 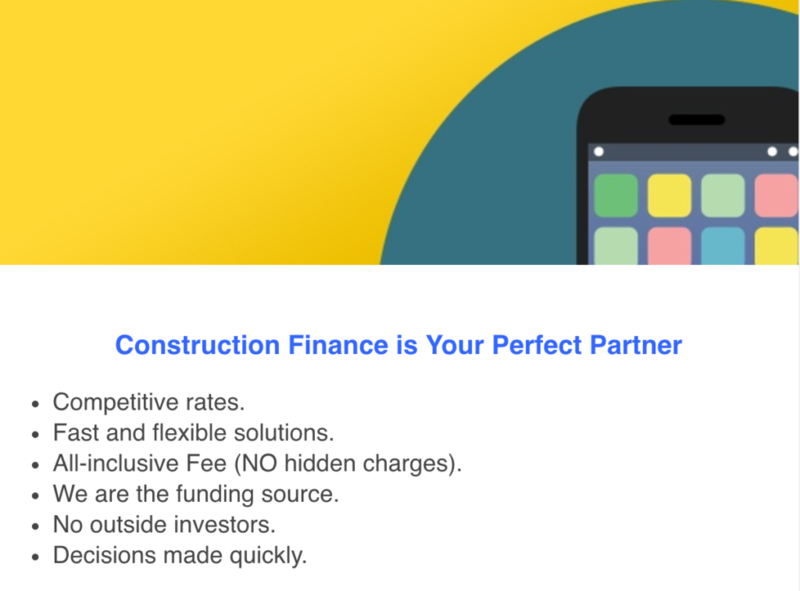 Construction Finance can help you get your finances in order ASAP! Call John Sawyer at 870-277-0658 or visit www.constructionfinance.com today! Do you ever get that defeated feeling on Friday when you finish a job only to turn in your payment app and invoice into the job trailer? Do you ever wish that you could just walk in the trailer, turn in the invoice and get paid the same day that you complete work? Well, that’s what Construction Finance can do. We buy invoices so that you can get paid when you actually complete work. Not 30-45 days later when your check is released on the company payment schedule. After working in the construction industry for many years, we understand that you have employees to pay, materials to pay for and personal bills due as well. We can factor your invoice and we can be the ones waiting to be paid. And I promise we are enormously cheaper rate than the merchant cash advance company that is calling you daily! 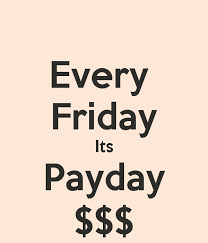 Happy Friday- Payday to all our Construction Finance clients!!! 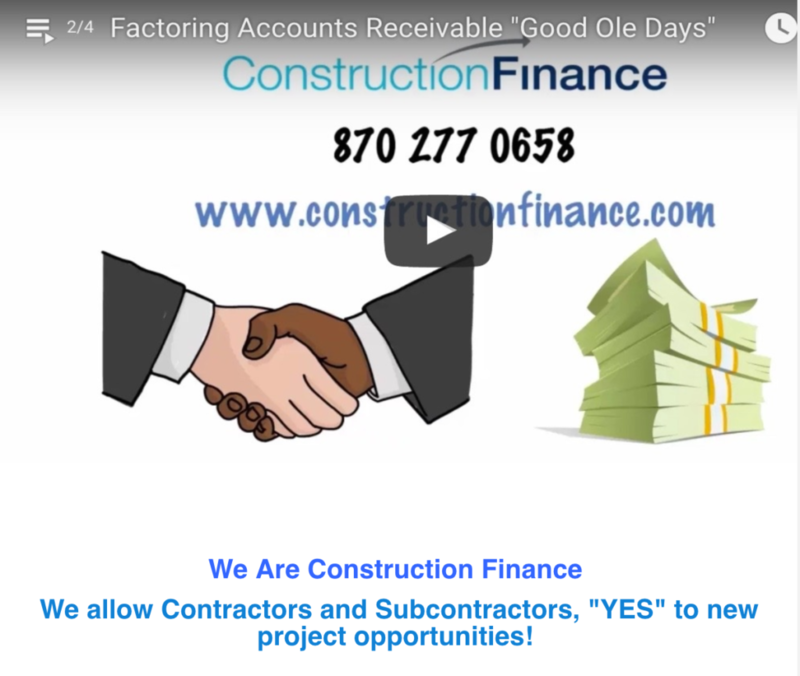 The final video in our What is Construction Factoring series has tons of valuable information. Read this information here or click below to watch the video. Over the last 6 blog posts and videos, we’ve shared a lot about contracting, construction, the ins and outs of what tier you fall under in the overall construction project. Also, the necessity of cash flow or working capital to keep everyone paid. So often times, our prospective clients that are wanting to sign up to factor their invoices with construction finance but I’m worried that my general contractor or my customer won’t like it. Or that they won’t let me do it, or may think less of me. We hear this all the time. What we’ve found on the contrary that once you explain that the process to your customer, that you are selling an invoice for work that is already completed, they are pleased. That you are selling the invoice because you want to pay your materials on time, that you want to take advantage of those supply house discounts. Many supply houses offer discounts will give an early payment discount. Often times that discount alone offsets the fee that Construction Finance charges. You general contractor requires you to submit unconditional or conditional lien wavers, proving that materials you’ve purchased have been paid for or will be paid for in the future. When you have a partner, such as Construction Finance, your lien wavers will be unconditional. You will have actually already paid for the materials before the customer pays you. So when the general contractors hear this, they are happy that we are yet another layer of protection for them. We ensure that no projects end up with lien wavers because vendors or suppliers haven’t been paid for materials purchased for the project. It’s no fun to get to the end of a job and owe so much money to get that final lien waver. We find that our clients pay for materials as they go, using our funding. General contractors know that their lien wavers aren’t pending or conditional or waiting for those materials to be paid. No, they’re actually already paid for. General contractors like that. They also like knowing that you won’t be calling regularly asking, “when are you going to release that check, when are you going to release that check?” They like knowing that you have your cash flow in order. That know that you have money for your materials, they know that you are paying for your materials and they know that you have the cash flow to grow and take on more and more projects. For example, one of our large clients was billing his customer about $100,00 a month on a large plumbing contract. Once he became a construction finance client we opened him a $250,000 line of credit that would be backed by his invoices. Now he has been awarded a 2.4 million dollar plumbing contract that will invoice $200,000 a month for the next 12 months. He shared with us that he could not have gotten the contract if he had not had Construction Finance’s help with working capital. We have several success stories like the above. Another example is one of a seasonal contractor who invoice $300,000 to $400,000 dollars a month and has for many years. However, from March until October his expenses are so so high because of the seasonality of his particular job industry. So he has to spend, spend, spend for materials and labor until the end of summer. But then he has levelized billing plans with his customers so that he has a much more dependable income and receivables. So, he’s found that Construction Finance is a good partner to bridge that gap of the highs of summer and larger projects. He can use that working capital to pay expenses and employees during that exaggerated expense season of summer. One more example is a small electrical client was awarded a large service contract for an international energy, gas, oil supplier. And like most large companies, they set the rules. One of the problems is that it pays every 45 days. He invoices them regularly. We partnered with him so that his growing crew can take on this job that was above and beyond and totally separate from what they normally work. So, with Construction Finance, he has a new revenue stream from a national energy company that pays him each month. We are able to keep him growing and taking on new projects. 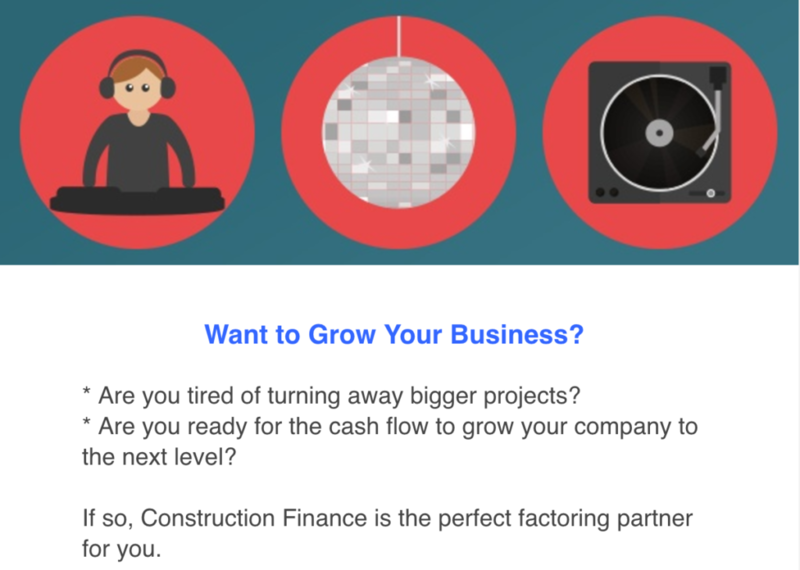 Call John Sawyer at Construction Finance today to find out how we can help your company grow. Why is it important to know who you are and where you are in a building project? 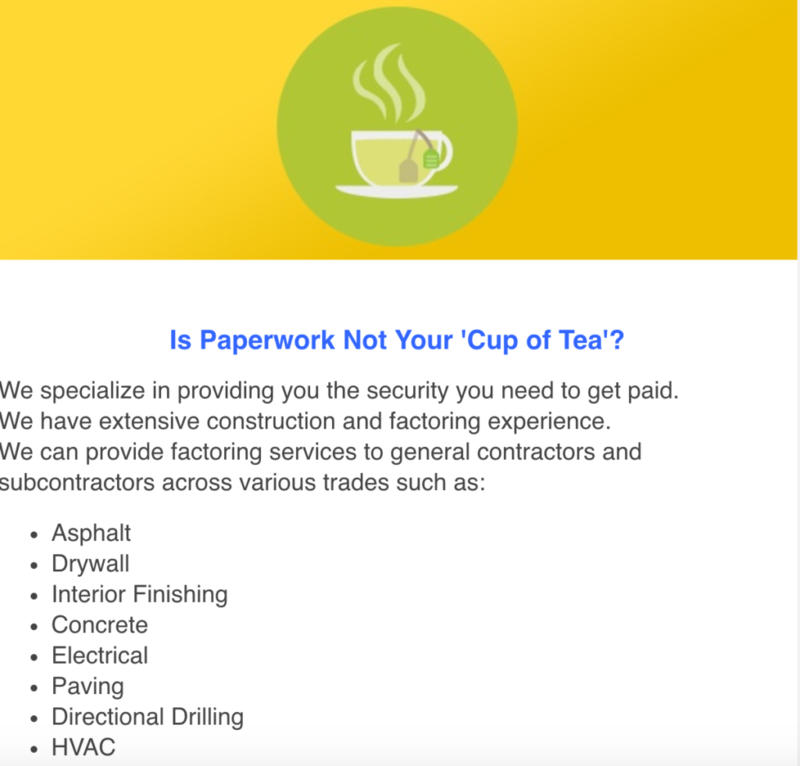 In our last video and post we looked at the many tiers of subcontractors. Let’s dive deeper into why it’s important and how to make sure you get paid at the end of completing your portion of a large construction project. So, let’s say that you are the counter top subcontractor and you have finished your countertops beautifully. No defects or chance of set offs. Now, he’d waiting for his check. And let’s say the casework contractor stops answering the phone. So, the casework contractor owes the countertop contractor $5,000. Now, here is where it becomes very important to know who you are and where you are in the grand scheme of the general project. If the casework contractor fails to pay the countertop contractor on the project, the counter top contractor has a right to send preliminary notices, intent to lien and ultimately file a lien on the project. However, if and ONLY if he does it in the timeline set by his state. So, let’s say that he was on top of it and the countertop contractor sent a preliminary notice to the casework contractor. Then the casework contractor doesn’t reply. So the countertop contractor sends the notice to the finish work contractor. Now the finish work contractor says, “Wait! I’ve already paid the casework contractor!” Now the countertop contractor sends the notice all the way up the line to the general contractor and owner. Ultimately, the countertop contractor had to make a rucus to get paid his $5,000 and the casework contractor had taken off with his money. So, who is going to pay the countertop contractor? Does the general contractor not require his subs, subs, subs to prove they have paid their subs? That is why it is important to know where to you fall in the project and what measures you need to take to make sure you get paid. At Construction Finance, we can help you by filing the appropriate paperwork within your state’s timeline to make sure you are paid at the end of the job.